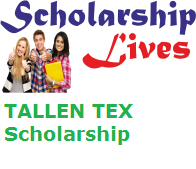 ALLEN Career Institute will soon issue TALLEN TEX Scholarship 2019 Online Application form for all those students who are studying in class V, VI, VII, VIII, IX, X & XI (Sci.) in the academic year 2019. If you are also one of them who are eligible for this ALLEN scholarship they don’t miss this golden opportunity and fill the ALLEN Talent Exam Application Form for the Last date. The main objective of the ALLEN Career Institute to offer TALLEN TEX scholarships up to 90% to Class 5th, 6th, 7th, 8th, 9th, 10th & class 11th students and is started to give confidence young talents and brilliant hardworking candidates with lots of prized ,cash amount, scholarships to capable applicants as per marks sheet and ranks obtained by them. TALLENTEX is a talent hunt exam to increase scholarship and it stands for ALLEN’s Talent support Exam. Targeting to improve overall academic strength. Exam Centers Rajasthan, Delhi NCR (including Charkhi Dadri, Jhajjar, Mahendragarh, Narnaul, Rewari from Haryana), Chandigarh, Punjab, Haryana, Uttarakhand, Himachal Pradesh, J&K (including Saharanpur from UP), Gujarat, Maharashtra.